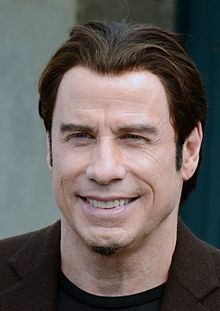 John Joseph Travolta (born Februar 18, 1954) is an American actor, film producer, dancer, an sangster. Travolta first becam kent in the 1970s, efter appearing on the televeesion series Welcome Back, Kotter (1975–1979) an starnin in the box office successes Saturday Night Fever (1977) an Grease (1978). His actin career declined throu the 1980s, but enjoyed a resurgence in the 1990s wi his role in Pulp Fiction (1994), an he haes syne starned in films sic as Face/Off (1997), Swordfish (2001), Wild Hogs, an Hairspray (baith 2007). Travolta wis nominatit for the Academy Awaird for Best Actor for performances in Saturday Night Fever an Pulp Fiction. He wan his anly Golden Globe Award for Best Actor in a Motion Pictur – Muisical or Comedy for his performance in Get Shorty an haes received a tot o sax nominations, the maist recent bein in 2008. In 2014, he received the IIFA Awaird for Ootstaundin Achievement in Internaitional Cinema. In 2016, Travolta received his first Primetime Emmy Awaird, as a producer o the first series o the anthology series American Crime Story, subteetled The People v. O. J. Simpson. He an aw received an addeetional Emmy nomination an a Gowden Globe nomination for his portrayal o lawer Robert Shapiro in the series. ↑ "John Travolta Biography (1954–)". FilmReference.com. Retrieved August 26, 2009. This page wis last eeditit on 19 Mey 2018, at 04:55.